Central Costa Mesa is one of five distinctive areas in Costa Mesa, Orange County, California. Located in the center of Costa Mesa, Central Costa Mesa offers wonderful conveniences of downtown Costa Mesa. The borders of Central Costa Mesa are on the north Baker Street, the south by Wilson Boulevard, the east by the 55 Freeway and on the west by Harbor Boulevard. 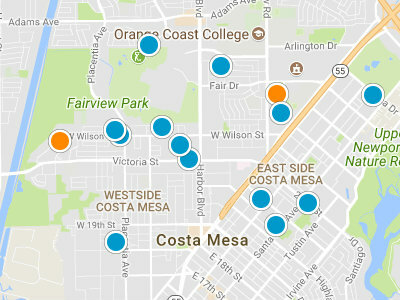 Costa Mesa is made up of approximately 22 different neighborhoods, including the College Park group. The College Park neighborhoods are one the first master planned communities in Costa Mesa. In addition to the College Park Collection, there are several other neighborhoods of condos, townhouses and single family residences to choose from. The Central Costa Mesa section is home to some of the city’s largest business and industry. Central Costa Mesa is home to the City of Costa Mesa government offices located on Fair Drive directly across the street from the Orange County Fair Grounds. The Orange County Fair is world famous and brings 1,000,000 visitors annually to the Costa Mesa area. In addition to the fair, there is also a summer concert series held here. Central Costa Mesa is home to the Orange Coast College, known locally as the OCC, which serves 24,000 students and faculty each year. 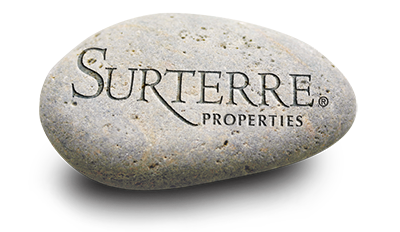 Important to new residents are the many local parks and recreational areas in Central Costa Mesa. The Tewinkle Park is not only adjacent to the Costa Mesa Fairgrounds; it will be the home of a Field of Dreams. A Field of Dreams will be a new little league complex. In addition to the baseball complex, Tewinkle Park includes a large lake, which is home to many species of birds and ducks. The Costa Mesa Tennis Center is housed at Tewinkle Park, and hosts professional tournaments each year. The Costa Mesa Farm Sports Complex was built in the early 2000’s and is known locally as the “The Farm.” This is a public general use park, which is mainly used by the city’s soccer programs and the city’s flag football programs.